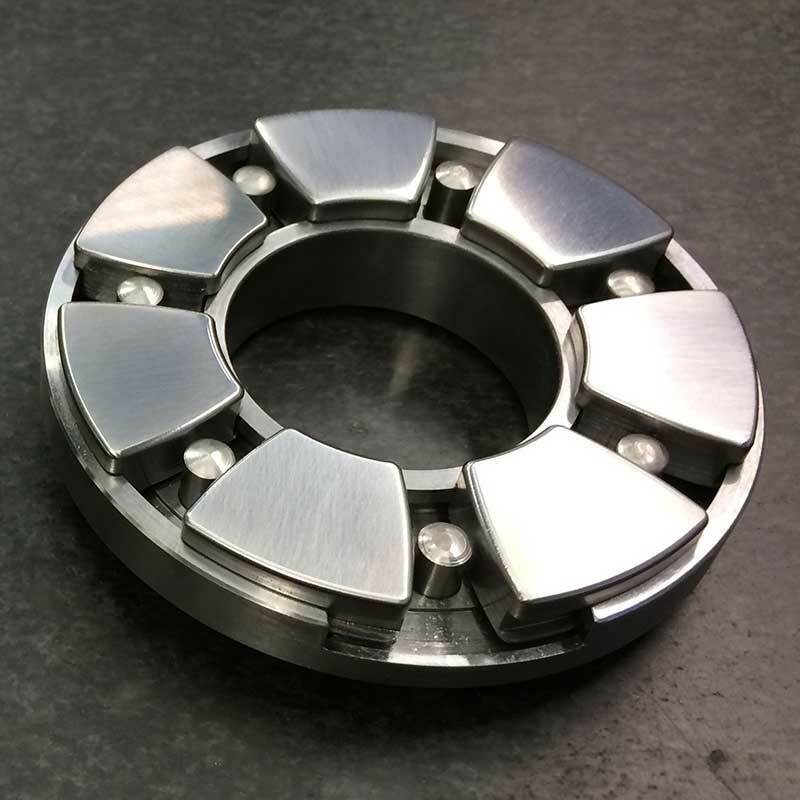 Hydrodynamic bearings lined with whitemetal alloy are typically designed as a sacrificial component – they fail in a controlled manner in order to protect the most important parts of the equipment; the rotating shaft and elements. 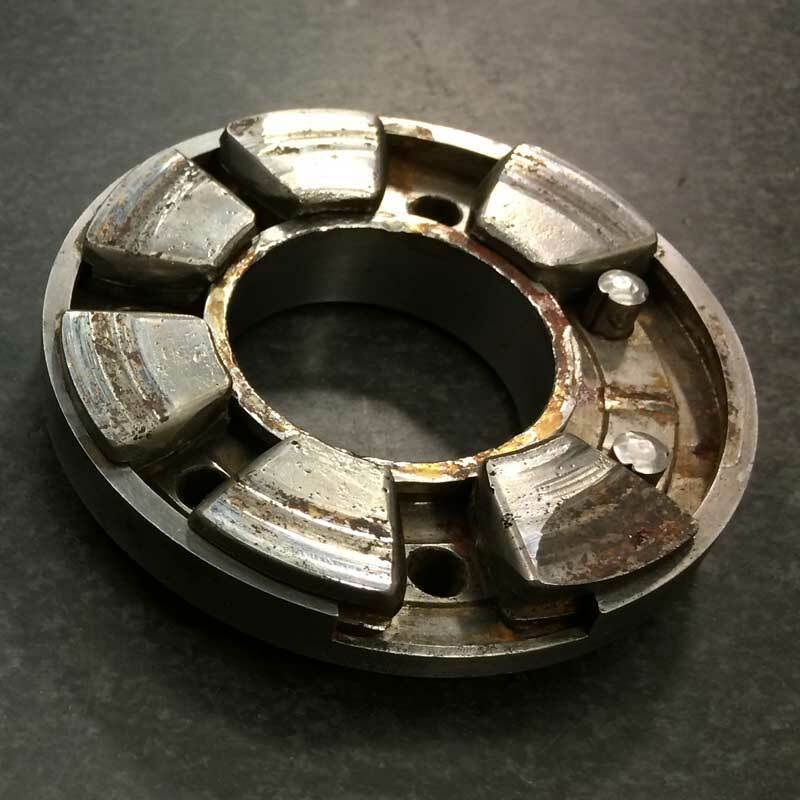 All whitemetal lined bearings can be repaired for any type of application including critical machines such as high speed compressors, gearboxes, boiler feed pumps, turbines and generators. 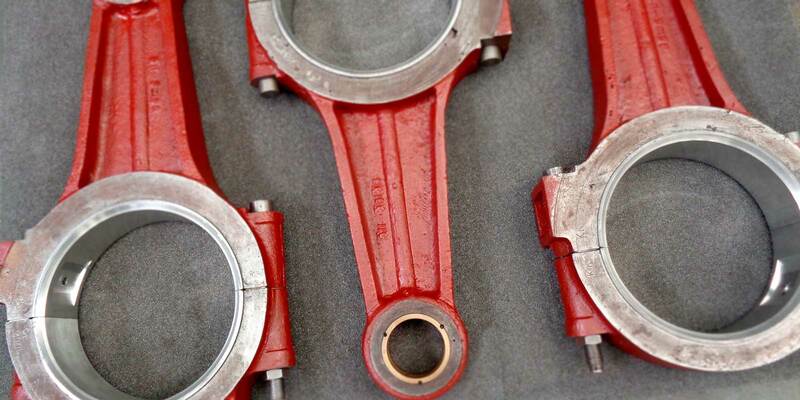 KCEB has over 30 years experience in repair of all types of bearing components and has built a robust set of processes along with years of experience to repair bearings to the same quality, materials and finish as new parts. Our service center is located in the UK and thanks to good logistics connections we work for customers in many countries including Africa, Middle East and Asia. 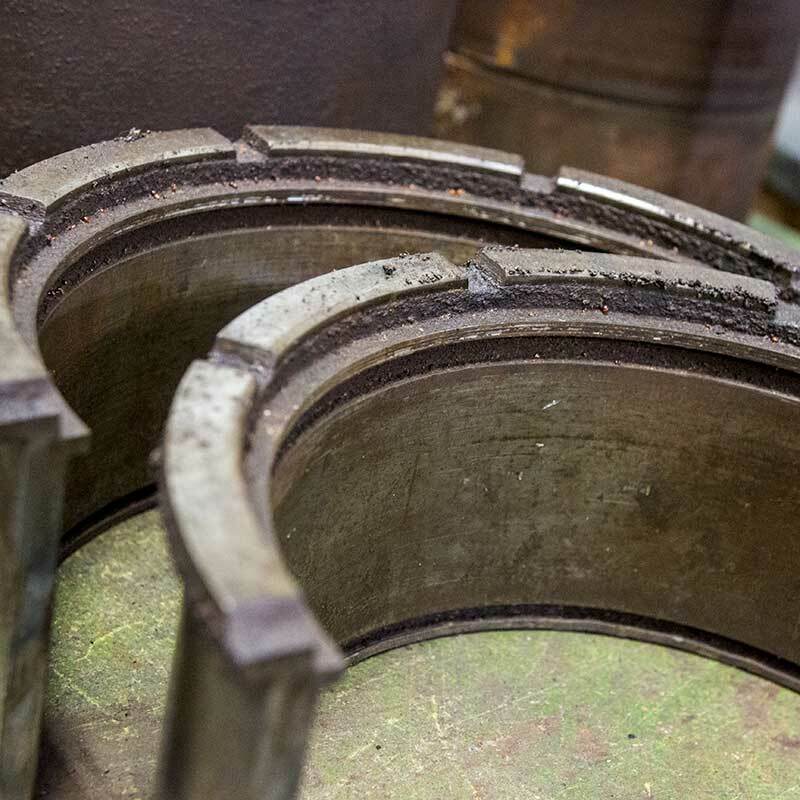 Crossheads in reciprocating engines and compressors are repaired by KCEB to the same standards that they are manufactured to and tested according to ISO 4386 ultrasonic and dye penetrant testing. Using only virgin whitemetal alloy and the best practise in whitemetal lining. 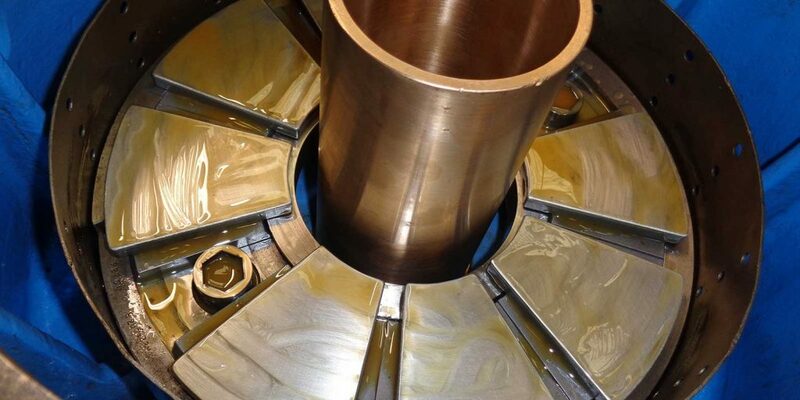 WHY TRUST KCEB WITH YOUR BEARING REPAIRS? 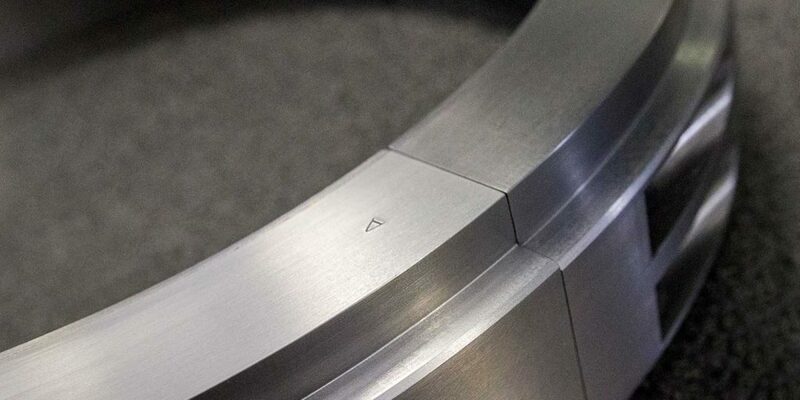 We are aware of the trust that customers place in us when they give us critical equipment for repair. They put their fate in our hands and we appreciate the responsibility this brings. We pride ourselves on our pro-active communication to keep the customers informed of the progress at all times. This can also mean sharing uncomfortable news, but being open and honest is one of the cornerstones of the trust we get. KCEB are specialists in the repair of abrasion seals, in particular, pure lead lined balance piston seals. 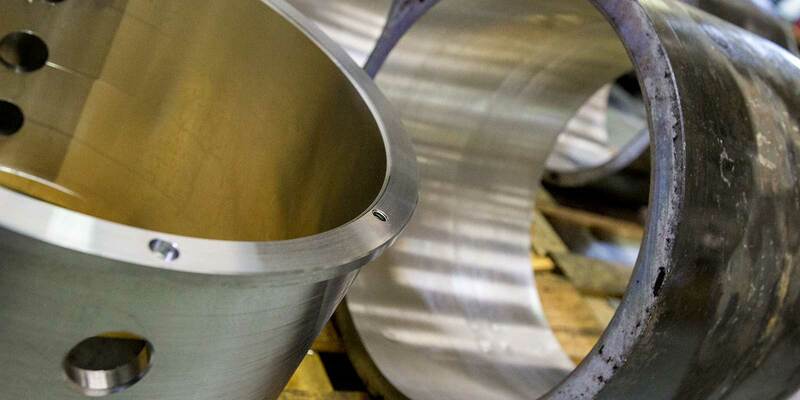 This product demands the usual skills of bearing repairs, but with the added health and safety management systems to ensure safe processing of pure lead linings. 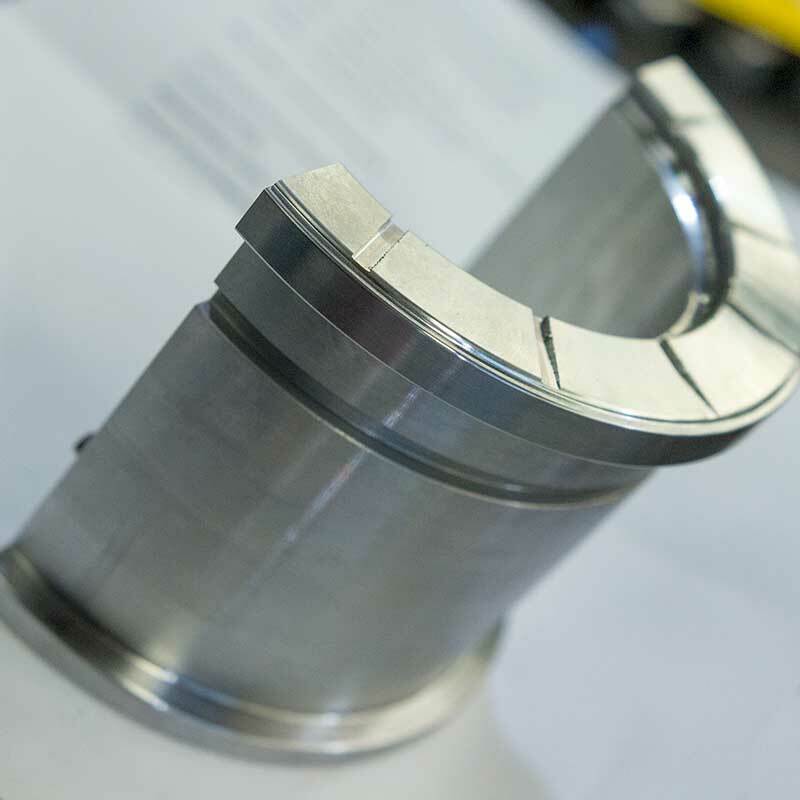 KCEB has decades of experience in overhauling vertical and horizontal bearing assemblies. This can include manufacturing replacement parts, pressure testing of water cooling coils, replacement of fans, casing and even total replacement of the entire assembly. 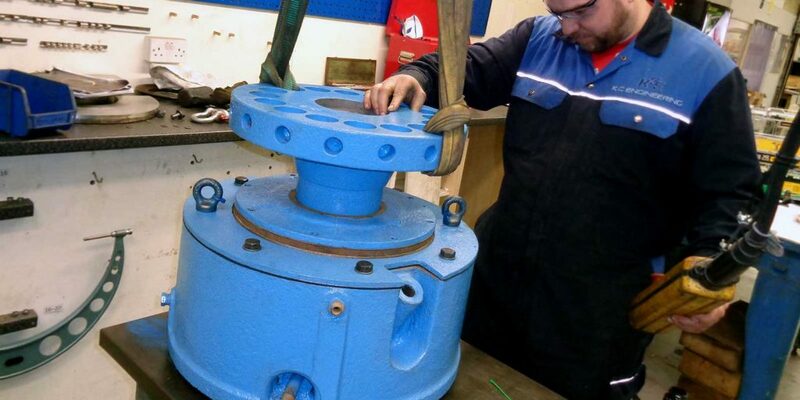 We have a comprehensive range of parts and drawings which allows us to rebuild the most extreme failures. 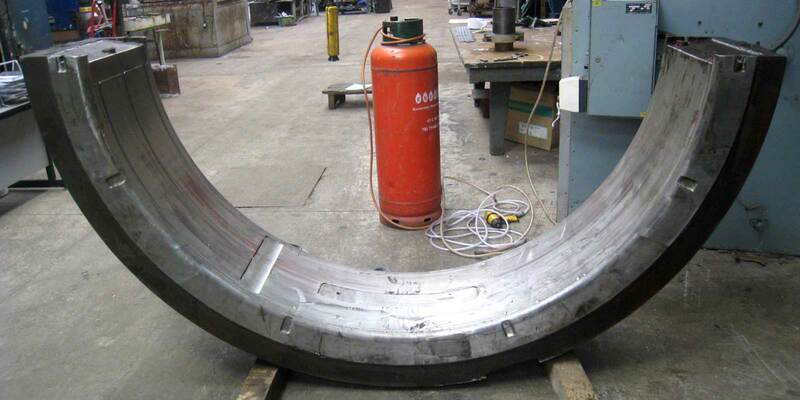 KCEB services are put to the test with some of the largest bearings using whitemetal linings. Typically these components are used in cement production and mineral processing mills. K C Engineering Bearings Ltd. manufactures parts such as this SAG Mill Journal Pad shown weighing 1500kg each for 3.2m diameter trunion.